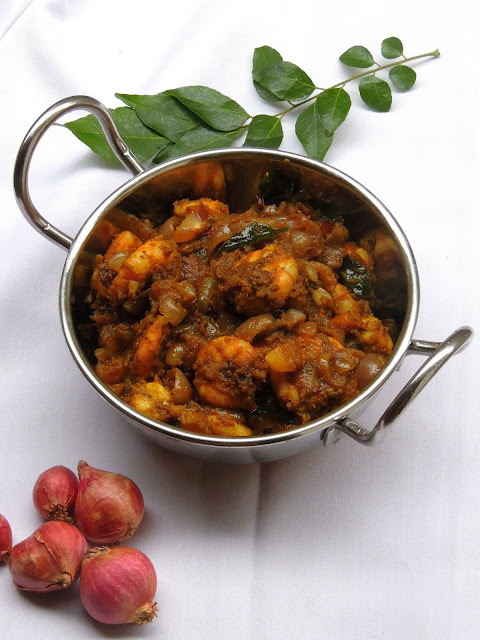 Chettinad cuisine is one of most popular cuisine of Tamilnadu and this cuisine is somehow very close to my heart. 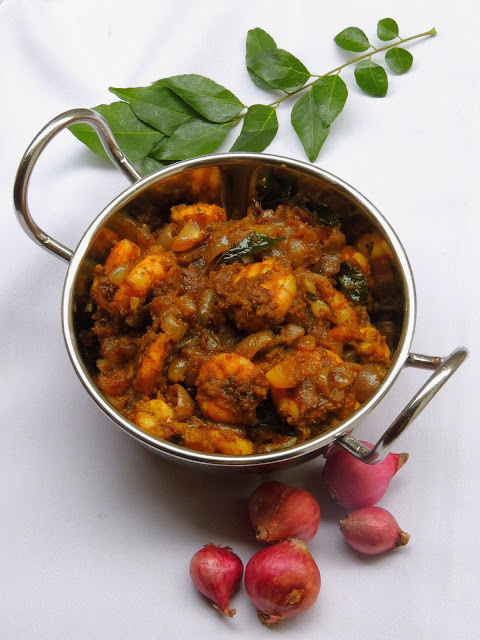 Yes Pondicherrian cuisines have chettinad touch in their cooking style. Obviously some of the Pondicherrian traditional dishes ressembles quite like Chettinad cuisine. Our seafoods curries to vegetable pirattals, i can list out many of Pondicherrian dishes which sounds almost like Chettinad dishes. Am running this week's blogging marathon with Indian Regional dishes, after a lipsmacking Punjabi dhabba style Egg curry, my today's post goes for a delicious sea food thokku aka Prawn thokku. This dish was sitting in my draft post for more than two years and dunno why i kept on postponing to publish this dish in my blog. Late but not least, this week's theme was a prefect one to write this dish and publish. Been a Pondicherrian, seafoods are my weakness. Actually i cant survive more than a week without seafoods. 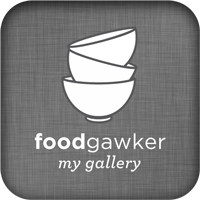 Obviously i cook many different dishes with seafoods, though my space have less seafoods dishes. However am planning to post some seafoods friendly dishes once a while to please some non vegetarian followers of my space..
Prawns are good source of proteins, oemga 3, vitamins and minerals, yes prawns are rich in iron, a mineral our body requires to provide red blood cells and oxygen carrying muscle proteins, they also have good amount of omega 3 fatty acids which are unsaturated fats which supports our heart health.You might have already heard that prawns contains cholesterol, yes, but still you can have this seafoods with limited consumption. If you are including prawns often in your diet just reduce the amount of other cholesterol rich foods in your diet. 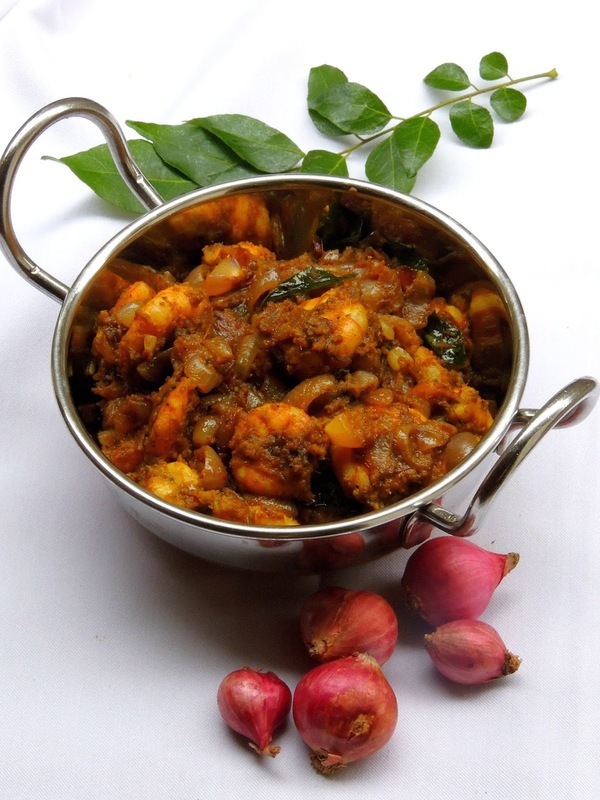 Coming to my today's Chettinad Prawn thokku, i used completely shallots aka small onions instead of usual big onions. 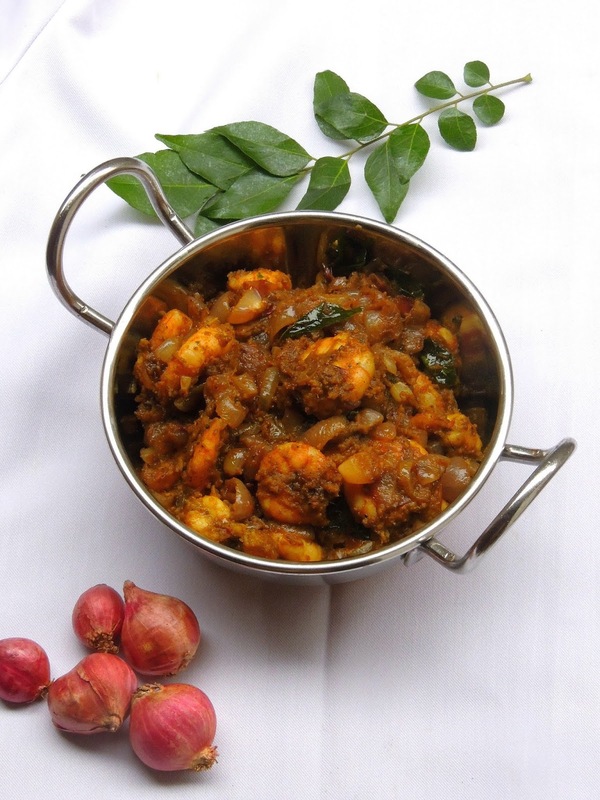 Shallots are very much used in Chettinad cuisine as this tiny onions have a subtle flavor. Dont skip shallots if you are planning to make this fingerlicking thokku at home. add the curry leaves, chopped shallots to the hot oil, saute until they turns transculent. Meanwhile grind fennel seeds and garlic pods into bit coarsely paste an this paste along with chopped tomatoes and turmeric powder to the shallots. Once the oil gets separates from the veggies, add the cleaned prawns, red chilly powder,salt coriander powder and until the prawns change the colour. Keep the flame in high and cook until the oil gets separates from the prawns, finally add the pepper powder, toss everything gently and put off the stove. Like your presentation !! Keep it up !! Must be a flavorful thokku with those spices and shallots. Looks good ! Keep it up! The white background with the colorful dish and props looks so nice and refreshing. Like they were floating. I LOVE PRAWNS!! and we do a very similar perattal recipe! never knew this was a chettinad recipe! but I do love chettinad recipes! they are absolutely brilliant. your picture looks super inviting! That's a great recipe and I am sure this must taste fantastic Priya..very good choice! 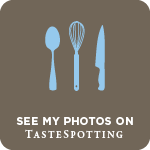 That looks like a delicious dish....the pics are beautiful! So finally you posted from your drafts a rich draft is what I like , the dish looks like a perfect sea food dish which thevnon vegetarians would enjoy . The pictures really pop out in the white background, Priya. can not judge being vegetarian but I am drooling over that curry with all spices. Lovely presentation. Looks so delicious.. good for prawn lover. That is a nice thokku Priya. Pearl onions must give a wonderful flavour to the thokku. The masala sounds very flavorful and inviting for any curry.